I recently decided that this page was never going to get done, so I decided to unlink some things and then put it online while I add to it daily (or as time permits). I have many plans for the site as I grow together with it. I apologize in advance for any disorganization or lack in knowledge, however I trust being led by the Spirit that somehow everything will fit together eventually. So for now, expect things to be regularly moved around until it all finds its proper place. Always feel free to contact me personally with any thoughts or suggestions. This page covers the topics of knowing God, His voice, the christian conscience; the Spirit within; and the need not that any man should teach you. This section covers many topics: how to find God; what to expect; what was prophesied; etc.. It will also introduce and lead up to my next section about the math experiences in everyone's life. This is the section on the main page that introduces my saying "do the math". This section explains God's math in much more detail. It also attempts to teach how to see the math in our testimony as well as the reason for it all. My hope for this site, is that it be used of God in a way that speaks to the heart of those that are looking for the wisdom or strength to take the next step in their spiritual walk. Since I will be sharing many of my experiences and revelations throughout this site, maybe some of what God has given me, will be a witness to you. To balance out the ministry of the word and stay on topic: I will create and link a new topic page when I am writing and then feel the Holy Spirit saying that I need to explain or teach something that I am casually mentioning, but realize that it may contain some personal revelation or something not so mainstream or conventional in the middle of a sentence. If I happen to miss or skim over something that you do not have a complete revelation on as of yet, feel free to email or message me. I will share my revelation, knowledge or understanding with you (anyone) on any topic. I am not here to proselytize for a church, organization, fellowship, etc.. I am not here to demand that you believe any of my doctrine to be saved. Sometimes we miss the point of it all: It is not what we do; It is not what we know; BUT, IT IS WHO WE "KNOW" ...read more on this topic here. As an introduction, if there was only one opening thought I wanted to convey more then anything else, it would be that I am not here for myself, I am here for you. I have much more then a single testimony to share, I have a way of life and a life of experiences that testify that God is real beyond any possible shadow of anyone's doubt. I myself was an Atheist; that was raised in a Muslim home; that became a Christian; and later found out that I was born of a Jewish mother which (according to old testament law) makes me a Jew. If you thought that your spiritual makeup was strange, let me testify that you need to sit and listen to me for about twelve hours. I don't know who you are: You might be an atheist, agnostic (or in-between); You might be (or have been) part of some Eastern based religion; Western cult; or Christian based organization; faith; etc. ; You might be a philosopher in your own right; you might be into powers of the mind; astral projection; wicken/wicca or pagan religious views; I do not know how God has or will eventually make himself real to you, but one thing for sure: If you have an honest heart and are open for God to reveal Himself; get ready for the surprise of your life! I am here to testify that each one of us can have a REAL two way interactive relationship with a living God. Not only is this possible, HE has already made the provision for it. As you work your way through my web site, let the Holy Spirit of God be your guide. Let God lead you to the reason for coming here and not one of the other 3.74 billion web sites out there. Do not expect much of my web site to teach you the kinds of things that you learn in a conventional church. This is what you have mainstream type churches, pastors and evangelists for. I will leave it up to them to tell you what is accepted by the mainstream and tell you all of the things that you can't do today. The desire of my heart is to simply speak truth and express it here on this site, as the Lord gives it to me. As you read through my pages expect God to speak to you. Expect me to prophesy and bear witness to your calling, as well as allow the Holy Spirit to speak confirmation and truth into your life. I pray not to hold anything back or to care (when it comes to truth), what some mainstream religious organizations have already taught you. This includes any tradition or doctrine that satan may have already used to hold you captive at your own will, and/or snared you and kept you from some living or quickening truth for your walk. If you are reading the Bible and God is revealing things to you that nobody else seems to understand, don't be afraid. As in all things, you get what you put into it. What you sow, you will also reap. You need to understand that most people are sowing a couple hours on Sunday (maybe even another couple hours midweek), BUT, you can hardly expect them to have the real book of acts type experience or lifestyle that God is starting to show you. You should also be aware that many spiritual landmarks have been replaced with religion (or religious practices) and have lost their true meaning. In the average Church experience today: there is not much corporate worship; corporate prayer; etc.. While you may crave spiritual fellowship and continued ministry, you find people talking about everything else but the things that your spirit craves to hear or experience. Conventional Church has lost the true meaning of "Church" (the gathering - Greek: ekklésia) and what it really means to minister the Spirit. A friend of mine (Dennis) says that "church" (in our days) is like the "synagogue" in the old Bible (book of acts) times. You may have not realized that while the disciples and apostles could hear Moses preached every Sabbath (Acts 15:21) this was kind of like going to "church" for them one day a week. [I like to fantasize myself that Christians gathered together in a larger assembly on the first day of the week to testify of all the great things that God did when they witnessed for Christ at the synagogue the day before]. In Hebrews 3:13 (daily) was talking about the actual assembling of Christians together (not to be forsaken) as seen in Hebrews 10:25). The exhortation in Hebrews 3:13 and 10:25 is a manifestation of the Spirit and is the same as the "word of exhortation" spoken of in Hebrews 13:22. This manifestation through the Spirit is also taught by Paul and included as part of the vocal gift of prophecy to be manifested in the assembly as seen in I Corinthians 14:3. Here in this verse Paul mentions three vocal or word gift manifestations associated with prophecy. Paul teaches that when we prophesy, we are either speaking a word of exhortation, a word of edification or a word of comfort. The writer of the letter to the Hebrews said that he wrote a small letter, so allow the supernatural gift manifestation of the "word of exhortation". This in the writers context would allow the Holy Spirit gift to supplement what he felt was not being supplied in his "small letter". Today we can understand or see this manifestation taking place while listening to the preaching the word. However my personal end times vision would be this on steroids, allowing everyone to use "the gift" (their spiritual variations) and not only one single person (like in a conventional church meeting). Spiritual variations would also include other Spirit manifestations of spiritual songs (I Corinthians 14:15); Psalms, doctrines, tongues, interpretations and even revelations as seen in I Corinthians 14:26. Also: "If any thing be "revealed" (Greek:apokalýpto to receive revelation) to another that sitteth by, let the first hold his peace. For ye may all prophesy one by one, that all may learn, and all may be comforted" (I Corinthians 14:30-31). 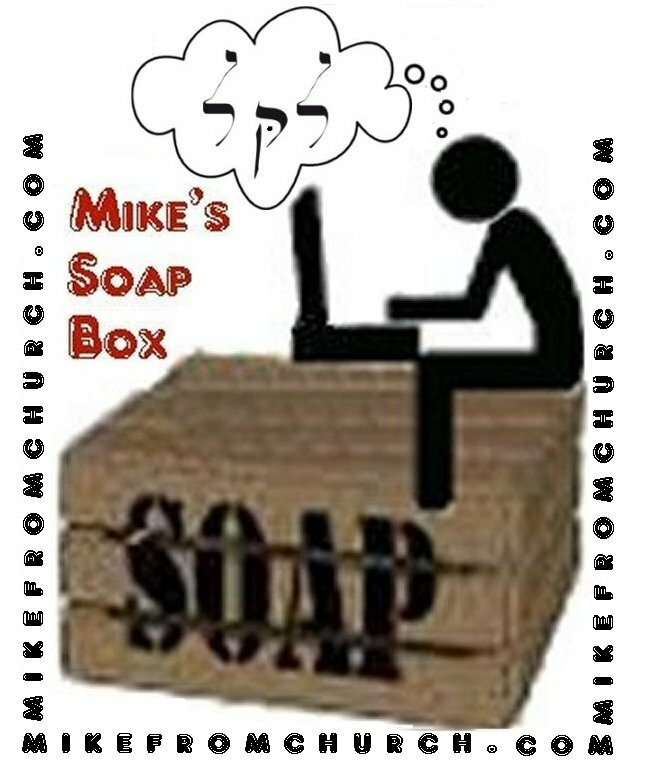 So as not to get to much off topic right now, I will just say that as you read my site more, you will understand (as well as get a more perfect vision of) my revelation and vision of how the first century church functioned concerning spiritual gifts. When I first "got saved" (or started my journey to come to know God), it all started with one single word from him. This word came to me at the same time teaching me that the Gospel of God: His Wisdom, His Light, His Power, and His Word were hidden from me (because of my own choices, or at my own will). I said my first prayer in my entire life. I never really prayed before and I never before even entertained the thought that there really might actually be a "god". I prayed: "God if you are really there, then let me understand your word" (which I had tried to read a few times before). Then (and only then), I was able to understand my first word and revelation which was: "Turn you at my reproof: 'behold', I will pour out my spirit unto you, I will make known my words unto you." (Proverbs 1:23). It was truly a miracle! It was like magic to me: As I 'turned' to him, I 'beheld' his glory as 'he poured out his spirit' and I was able to understand 'his words' for the first time in my life. I might add that this was a VERY "personal" and REAL "experience", that did not stop as God showed me one more verse after another. All through my site you will begin notice where I call special attention to "the math". The above is one good example of a type of experience that anyone can have, where we all just need to sit back and "do the math". You can do this math in your own head, or just sit back in AWE as you give it over to God in simple trust. There are so many different ways to compound the math that it only proves the more of God "stepping" in, which we then recognize and automatically calculate in our minds and heart as "random independent (and/or coupled together with multiple dependent/conditional) compound event probability". Here in this experience I asked God and then trusted him for the answer when I opened the Bible and tried to read. The whole verse was not understood to me all at once, it was really foggy for maybe just under a minute as it came into focus. "Behold" was an experience and then the promise that he would continue to make his words known to me, I must admit was mind blowing. However, this verse may not have hit home as much to someone else under different circumstances, or for me without my initial question and plead to him. Also I have to understand that there are others that can read the verse and not see it as anything special at all, being just another promise in the word trying to speak to their seared conscience or make it known to their numb or sleeping spirit. "For unto us was the gospel preached, as well as unto them: but the word preached did not profit them, not being mixed with faith in them that heard it" (Hebrews 4:2). My spirit came to life when I read those words for the first time only because of the intervention of God's grace which brought forth the hope (or the solid substance) of faith so easily seen and confirmed in the actual math of the experience. There are 31,240 verses in the Bible if you include the 137 verses that are unnumbered, so if we were keeping it all really simple I just won a lottery with the odds of 31,240 to 1. However, it is not this simple at all. In fact when we look at this and understand it with a simple mind of truth, it just got a whole lot more complicated. God is all about a just weight and balance. His word and everything that he does is all tried and true. Every place we try and disprove, it only makes a more sure case and study. For example: Someone might think that by dividing the number of these verses into how many have to deal with God revealing his word (which may be a handful), that they can take a small part away from the odds to disprove. However, all they have done is bring up a question to now compound two (and more) math entities together (making the odds actually grow instead of shrink). Let me explain in short: Why this verse and not one of the others from the handful? So now we are forced to come up with comparatives (assumptions) of other verses and many more reasons why this verse was the most perfect for the actual need at the time. However now each reason only now serves to compound and re-compound the math again and again to enforce or make or begin to lay the foundation to support the most impossible odds (now axioms brought about through the compound math). The math is already compound together with many other circumstances: What I was doing at the time; If I was doing what I was normally doing during that time it could not had happened at all; The grace of God stepping into my life which caused me to question that which was not normal for me. This is because normally experiencing what I was at the time I would always be extremely happy and boosted with self power. God had caused me to experience something against my nature and previous experience and knowledge, which was his divine intervention. Now what are the odds and possibilities of this all taking place. I am saving space by not getting into the actual story right here along with it's mathematical cracks and crevices, just to give you a simple glimpse of what you are in for as we move on into the actual math of many different types of testimonies. It is my hope that when I share the math in my testimonies, you will realize how easy it is and then start doing your own math. By seeing what God does and how he does it, we can see HIM and his steps in our life more clearly. The Bible says that we are not (or should not be) ignorant of the devils devices (II Corinthians 2:11), neither should we be "willingly ignorant" of any opportunity to see God by understanding his ways or devices more perfectly. After first coming to know God, I started my hunt in the world of religion and the so many different Christian denominations and independent Churches, in hopes to find the same truth that I was witnessing while reading what Jesus and his early disciples taught. I guess I should tell you up front, that I did not find it in completeness anywhere that I looked. My only guide was the Bible and what people were saying that it meant, while being compared to what I felt God was saying to me. God taught me his perfect wisdom while I watched people trying to cram square pegs into round holes. The beginning of Wisdom says if it does not fit, turn it a bit and try it again. If it still does not "work" try another hole. Perfect Wisdom figures it out in the mind first, while looking at all sides and then measuring closely while slowly fitting the pieces together. Without a balanced open mind of truth there can be no fellowship (read Hebrews chapters five and six). If you are not willing to change or grow up you will remain on the milk having need to be taught again and again until you can grasp fundamental principles. These basics do not need to be hard, sometimes all we need is for someone to start the teaching process for us. Rules, weights and balances are put into place for our own safety until we are ready to receive perfect truth and then let Him wield His perfect power. I have much more then a single testimony to share, I have a way of life and a life of experiences that testify that God is real beyond any shadow of anyone's doubt. To me it is all about math. The figures do not lie. Using math along side of my life and experiences, there is no room for doubt. I am here to testify that each one of us can have a REAL two way interactive relationship with a living God. Not only is this possible, HE has already made the provision for it -- And it can all start RIGHT NOW!